The PFAG is deeply saddened to hear of the untimely demise of Karela FC president and Businessman Mr. David Cobbina Brigidi, on Sunday morning after a short illness. The 56-year-old who hails from Nigeria was a one-time Senator for the Bayelsa Central constituency of Bayelsa State between 1997 and 2007. 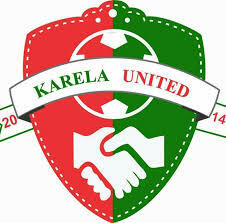 In October 2013, he took over Metro FC and renamed it Karela FC. Under his adept leadership,the team gained promotion to the Ghanaian top-flight league this year. The PFAG is indeed saddened by this terrible development,and extends its condolences to the family of Mr. Brigid and the entire Karela FC fraternity. May he rest in peace.